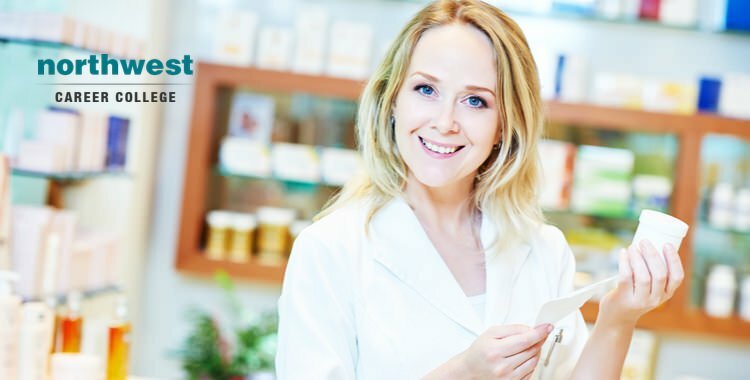 Working as a pharmacy technician in a hospital offers significant training opportunities, career advancement options and a distinctly different working environment than a retail pharmacy. Institutional pharmacy techs are a hugely important part of how a hospital or clinic operates, working under the supervision of senior pharmacy personnel to ensure that hospital staff are given the correct information about prescriptions and doses based on the recommendations of the medical staff. In addition to making sure that hospital staff are aware of the specifics of a particular patient’s prescriptions and dosage, hospital pharmacy technicians prepare and dispense medicines and make sure all the required administrative work is kept up to date. By comparison to pharmacy technicians working in retail pharmacies, those working in hospitals are expected to have a greater understanding of medical terminology, as they may be required to read and update a patient’s chart. The pace of working in a hospital is quite different to retail. On average, a retail pharmacy technician fills around 200 prescriptions per day, by comparison, a hospital pharmacy technician might be expected to fill over 1000 individual doses of medications which are given to nurses to be administered to patients. While they do work under the supervision of a licensed pharmacist, pharmacy technicians based in a hospital are expected to work more independently than retail pharmacy technicians. Working in a hospital environment offers pharmacy technicians the opportunity to be trained in specialized areas, like IV-Admixture. This involves working with the IV infusion pumps that administer intravenous medicine to patients. Training in this and other areas can lead to higher salaries and expanded career options. By comparison to a retail-based pharmacy technician, hospital pharmacy techs often work flexible shifts to cover hospital operation hours. This can involve working nights, evenings and weekends. To compensate for this lack of predictable working hours, pharmacy technicians working for hospitals often enjoy better vacation and insurance benefits. The Bureau of Labor Statistics indicates that the average salary for a full-time pharmacy technician is around $35,000 per year. Full-time pharmacy technicians working in a hospital earn, on average, around $5,000 a year more than the national average, with an hourly salary of around $15. This salary range can be significantly increased by additional on the job training and specialisations, such as the preparation of IV-Admixture. Northwest Career College is the premier pharmacy technician school in Las Vegas, and our program provides our students with the skills and training they need to take advantage of the growing need for pharmacy technicians. Our experienced instructors offer online and on-campus classes to accommodate your Las Vegas work and family schedule. Once you’ve graduated, we continue to support you through the commitment of our Career Services Team having led to us having a 100% job placement rate for our pharmacy technician graduates. Call us today at (702) 403-1592 to speak to one of our enrollment specialists.